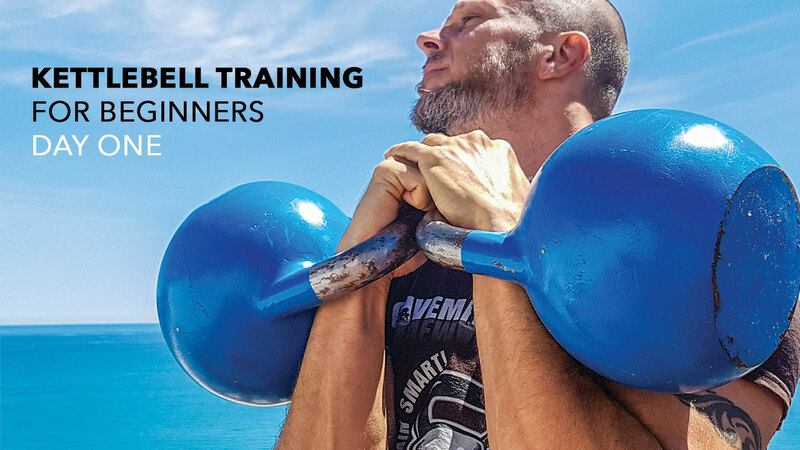 This ebook covers the basics for kettlebell training, the things you need to learn on your first day of kettlebell training: lifting, hand insert, corkscrew and racking. It will also cover a few basics for the swing and show progressions from lifting to assisted clean, from assisted clean to swing clean and so on. The ebook also refers to a free 22 minutes video which you’ll get access to. Learning how to clean a kettlebell properly is an extremely important part of racking, all overhead presses require you to bring the weight from a lower position into racking position. Not knowing how to clean is a sure way to get injured and working out inefficiently. Good and easy to understand explanation. Gave me a more deep understanding of the basics. I am an absolute novice in regards to kettlebell training. In preparation for handling a KB for the first time I scoured the www and ended up at Taco’s video at YouTube directed at people like myself. I really felt supported by the video as it is very clear, combining both explanation and demonstration. The static contents of the video is in the document that I am commenting on here and the link is in the video. It is very helpful to make both available to the general public and KB-folk, for which I am very grateful. I have now started with KB-training on my own and both the video and the document are a great help in the pursuit of safely handling of and training with KBs. I look forward to progressing to the extent that I can safely enjoy the other (more advanced) Caveman videos as well. Thanks again. Great stuff! Thanks for taking the time to leave feedback Peter. Happy to read that the content helps. An awesome simple step by step guide and knowledge-based to help beginners in kettlebell training exercises. Taco in my opinion is one of the best if not the best Kettlebell enthusiast and instructor around. This book shows just that. Thank you Joey, you’re too kind. I think this is an awesome workout with Kettlebels. Really impressed and satisfied with the purchase! I want too see if this is a good book for others that want to try kettlebell. And it is. Emailed Taco for guidance and his recommendation. He responded very quickly and loved this intro. Excited for my kettlebell journey!